Finding the appropriate medical aid cover for you and your family can be challenging. 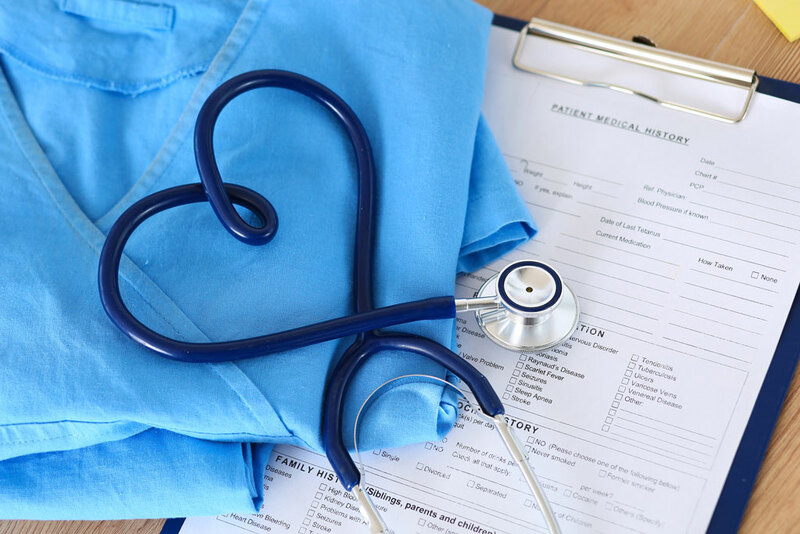 To help you make a suitable choice, given your needs and budget, we’ve cherry picked the best medical aid plans in South Africa, in each of various categories. Comprehensive medical aid plans cover the costs of healthcare both in and out of hospital. They are top-tier solutions ideal for growing families and senior citizens. Beneficiaries have unlimited access to private hospitals and specialists, and day-to-day expenses are generously covered by risk or savings. Comprehensive plans cover an extensive list of chronic and prescribed minimum benefit (PMB) conditions. They also typically cover a comprehensive range of branded medicines. BonComprehensive is the premium comprehensive plan offered by Bonitas. Beneficiaries enjoy extensive cover at highly competitive monthly rates. Unlimited GP and specialist consultations and procedures in-hospital are covered at up to 300% of the scheme rate. There's also unlimited cover at 100% of the scheme rate for basic pathology and radiology and there's an oncology benefit of R530,200 per family per year. Various additional benefits are provided, for example to cover cochlear implants, mental health, take-home medication and renal dialysis, and chronic cover for 60 Chronic Disease List (CDL) . At R4,696 per main member per month, BonComprehensive offers wide-ranging health care benefits. For families, membership for a fourth and any subsequent child is free. Hospital plans are ideal for young, healthy individuals. They cover the costs of consultations and procedures that occur in hospital. They also provide cover for Prescribed Minimum Benefits (PMBs) and chronic conditions, in accordance with the Medical Schemes Act . More expensive hospital plans entitle members to use any private facilities, whereas entry-level plans may prescribe the use of state facilities or approved network facilities only. Discovery Health’s Classic Core plan provides extensive in-hospital benefits and generous chronic condition and dread disease cover. Members have unlimited access to private hospitals.Opt to use a non-network professional and Discovery Health will cover the costs at up to 200% of the scheme rate. There’s full cover for 270 PMB conditions and 27 Chronic Disease List (CDL) conditions. Radiology and pathology are paid at 100% of the scheme rate, as are MRI and CT scans, provided they're related to your admission into hospital. Members have full access to oncology, cardio, HIV/Aids and renal healthcare programmes, and there’s limited cover for healthcare services such as hip, knee and shoulder prostheses, mental health, chronic dialysis, alcohol and drug rehab, and more. These benefits are subject to pre-authorisation. As a member, you’ll also be eligible for screening and preventative care benefits, plus additional cover for:scopes ( co-payments apply in some cases), international travel, and emergency evacuations from certain African countries ( read benefits carefully on their brochure). With a hospital plan with savings you might enjoy unlimited cover in-hospital paid from risk, plus your day-to-day expenses are covered by your personal savings account (which is funded by a portion of your total annual contribution). Once your savings are depleted, you will have to cover any additional out-of-hospital expenses yourself ( depending on the plan option that you have, there might be a few benefits still paid by the scheme). The Maxima Basis option by Fedhealth offers unlimited hospital cover at any private hospital in South Africa. In addition, you’re entitled to dip into your enforced savings – from R4,008 per single member per year – to pay for day-to-day expenses. trauma treatment at casualty in some cases, whether you’re admitted into hospital or not. Members qualify for chronic cover for 25 PMB conditions; non-network professionals are covered at 100% of the scheme rate; and there’s day-to-day cover, paid from savings, for basic radiology, prescribed meds and specialist consults .Some: basic dentistry and maternity costs are covered from risk once your savings are used up, optometry benefits are paid by the scheme, and you’ll have access to preventative screenings, free flu jabs and a complementary Fedhealth Nurse Line, for a contribution of R2,223 per main member per month. Income-based plans, also called network or capitation plans, are medical aid options that offer entry-level, in-hospital and day-to-day benefits based on your monthly income. These types of plans are ideal for lower income earners. Members are required to use state hospitals or facilities approved for their medical aid plans. The entry-level Ingwe Option by Momentum Health provides in-hospital benefits up to R1,120,000 per family per year, paid at 100% of the scheme rate. Authorised specialised treatments and procedures, both in and out of hospital, are included in the Major Medical Benefit. Cover for 26 Chronic Disease List (CDL) conditions is included, but members are limited to using network providers only. You’ll be entitled to day-to-day benefits at preferred providers for, amongst others, basic dentistry, pathology and radiology and two specialist consultations per family per year, covered at 100% of the scheme rate but with a 10% co-payment. Beneficiaries have access to a Health Platform benefit comprising preventative care, early detection tests, maternity -etc. Fees start from as little as R305 per main member per month. If you're struggling to find the right medical aid for your requirements then you can get free advice from an IFC consultant.